Get 10% off this item during our Fall 2017 Sale. 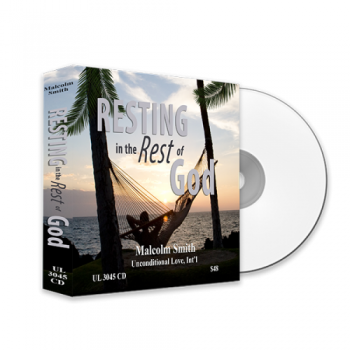 In this series, Malcolm shares the very heart of the Scripture concerning God’s rest and our entering into and living daily in that rest. Guilt, shame, fear, anxiety and every form of negativity have no place in the life of the believer – we are called to rest in His rest. In these six hours Malcolm shares the “how” of living this rest-life - making it practical, and sending you on your way to living actively at rest in every aspect of your life! Recorded at the 2016 Winter Retreat in San Antonio, TX.